What is a landing page? Two working definitions of this term are in use. Some web sites define a landing page as the page where people “land” after hopping over to your web site from an advertisement or web search. Others define it as the page where your web site, which attracts lots of random surfers, “lands fish” who are seriously interested in your product, the ones who actively engage with your web site. In this article, although we’re keeping both definitions in mind, we’ll also review Leadpages, a site that offers lots of downloadable templates for the kind of landing pages that engage customers. Every page you advertise has the potential to engage prospective customers in an active relationship with your web site. The home page steers customers to the sale page; along the way, it can invite customers to log in, track which content and product pages they visit, and suggest more things they might want to do at your site, like engage with you in one of your social media sites. Landing Pages and your funnel. 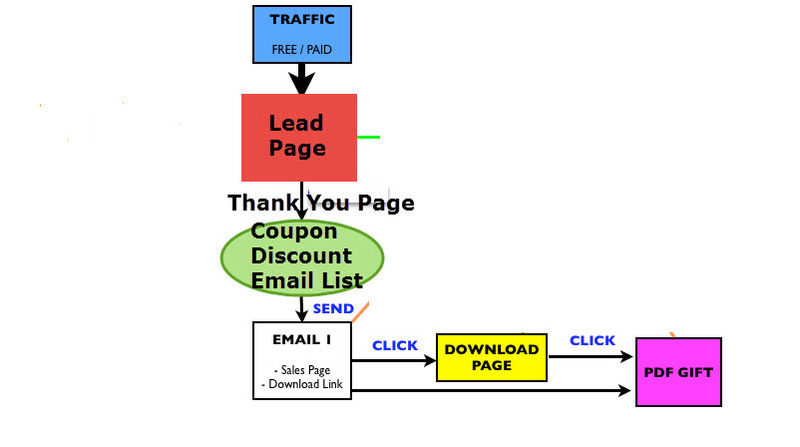 A great landing page helps generate leads to sales. Web sites, unlike salesmen, don’t suffer from frustration when people visit sites for research purposes only. However, a great web site will generate leads to sales by collecting contact information from people who are interested in your product. A great landing page does this right up front by inviting visitors to leave their e-mail addresses or engage with your site in some other active way. Consider what you want prospective customers to explore your web site, return to it, and stay in contact with you, in order to do. 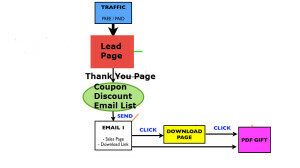 Will your target market schedule service calls, request quotes, bid on offers, take surveys, download apps or documents or other content, boost your site on their social sites, participate in online discussions, subscribe to a newsletter, form a social club, distribute your products, contribute to a magazine? Be realistic, but be creative. A great landing page invites customers to take advantage of more online opportunities to have fun or even earn money, and, of course, discover even more uses for your products. As your business grows, they’ll stay in touch and be interested in exploring any new products your company develops. The webmaster / owner uses it to test different offers. A fascinating (and profitable) marketing tool is A/B testing, where you offer two versions of the same page to users and track which one generates more sales. In this case, customers help you test the offers that work for you. Simple A/B tests compare a single feature, like a color or type font, by displaying each one alternately on a sale page. More elaborate A/B tests offer an updated version and a “classic version” of the same page and, temporarily at least, offer customers the option of using the one they prefer. A great landing page provides better returns on your advertising investment. Less than great landing pages lose prospective customers by making simple mistakes. They take too long to load; they’re not accessible from older, newer, or smaller devices; they ask for too much information. A great landing page can be a trust builder. Instead of asking people to buy something right away, this type of landing page invites them to read more about the type of product you offer, browse among the different products you offer, review products they already own, watch a video, read an article, or other things they feel safe doing online. Some people will wait a few months to make sure that using your site does not produce unwelcome results before they share information. Some customers are willing to stay in touch by e-mail, phone, or text message, but only one of the three. It helps visitors to focus on one thing: your offer. If the content of the landing page includes links, have them open separate tabs without disrupting the page itself. If it includes audio or video content, keep that content subject to user control. An audio text option may expand your market base; self-playing audio clips may drive customers away. Entertaining music and video content can be as effective a trust builder as text articles are–more so, for some products. However, music and video clips may also distract a customer from taking the next step forward into your web site. A great landing page will funnel customers through the free entertainment to the point of action. That might be the page that invites listeners to download more music (after paying) or up-rate your music site on social media, the page that encourages viewers to make travel plans or order a brochure, even the page that notifies first-time players that they’ve qualified to play your game. By the time they get to the sale page, nothing should distract from the focus on purchasing. We recommend Leadpages to Create landing pages for a number of different reasons. Leadpages offers lots of features. The site explains many rules of online marketing and provides some good examples. Their “Ultimate List of Free Landing Page Templates” is a good example of a trust builder–more landing page templates than you could have imagined, free for the downloading, to demonstrate how Leadpages will work with your computer. The down side? Making them functional and beautiful will take some coding skills. * Leads to sales: With a name like Leadpages, you’d expect this site to be all about offering leads to sales. Each page and feature suggests ways to generate more of those. Video tutorials pop up when clicked to show how most of the features will work; for some features they promise that all you have to do is click a “yes” button when setting up a business site powered by Leadpages. And there’s no reason to doubt that they’ll deliver…leads. Of course, actual sales will still depend on what you’re selling. * Testing different offers: Leadpages offers easy A/B testing. The simpler the variations you want to compare, the simpler setting up an A/B test will be. A color or typefont test can be launched in minutes. * Returns on investment: Leadpages offers three basic service levels for hosting business sites, plus custom service and pricing. The simplest level currently offered (which doesn’t include A/B testing, sub-domains, or various other features) promises a decent-looking, WordPress and Facebook-friendly commercial site for the coding-illiterate for less than $25 per month. If your business is ready to upgrade from one of those free but not dynamic hosted business sites, or from not having a business web site at all, this level of investment is likely to offer returns. How to Create a Landing Page – Using Lead Pages. This video is pretty self-explanatory. If you have any questions, please don’t hesitate to send us a note. A side note – we’ve experimented using the templates but removing features from them. Don’t do this. If you must substitute something in place of what is already there. Example, many of the pages include testimonials. If your business is new then you probably don’t have any customers to give your product a glowing review. Get friends to say something nice about you. Let’s say you’re running a tutor business and you tutor math. Help someone for free, then ask them for their opinion about how much you helped them. When you start getting customers, always ask for testimonials. Even if you have hundreds, never stop asking. Other Leadpage templates use images of famous news sites. They don’t have to be famous, they can be local. You can send out a press release and get some sites to talk about you. As always any questions please don’t hesitate to ask. You can order leadpages from us by using this link. –> Click Here.